Games Workshop Warhammer metal weapons. 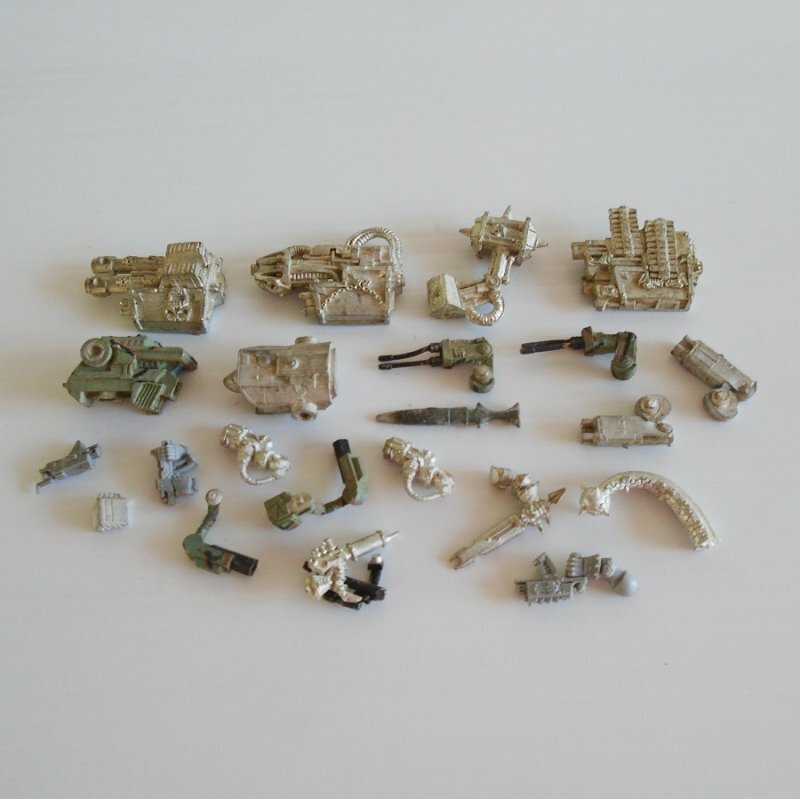 23 various unpainted heavy duty guns, machine guns, pistols, a sword, and other items. This listing is for a large amount of weapons used with the Games Workshop Warhammer game. At least, I believe they are for Warhammer but may be used with Mage Knight, Dungeons and Dragons, or one of the other similar games. Some of what is included here are heavy duty guns, there are hands holding small hand guns, machine guns, and other guns, there's a sword, and other weapons that I don't know what they are. All together, there are 23 various weapons. They are all metal and unpainted.